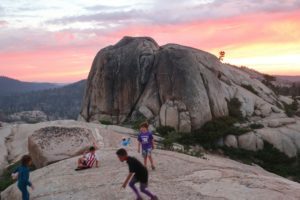 Granite peaks, cool mountain lakes, and a relatively easy permit system make the Emigrant Wilderness an excellent destination. The 113,000 acre Emigrant Wilderness borders Yosemite National Park to the north shares many of Yosemite’s features. 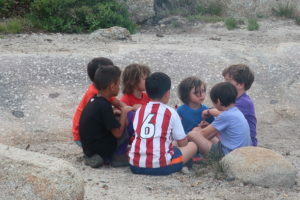 In July I went backpacking with four other families with kids ~6 years old. We went backpacked the 2.5 miles to Camp Lake from the 7200′ Crabtree Trailhead. 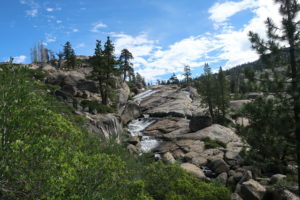 The trail to Camp Lake & Bear Lake has only 500′ elevation gain and is ideal for beginner backpackers. 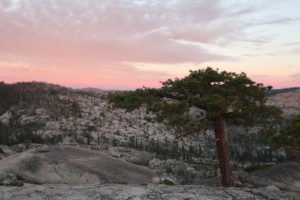 Since Emigrant Wilderness does not currently have overnight quotas, backpackers just have to pick up a permit from the Summit Ranger Station near Pinecrest. 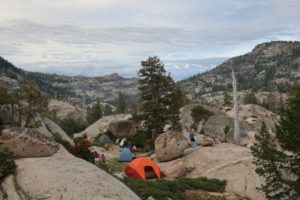 Users concentrate in the first few lakes closest to the trailhead, so backpacking during the week or finding an off the beaten path campsite is critical. Enjoy the photo essay from this quality trip. 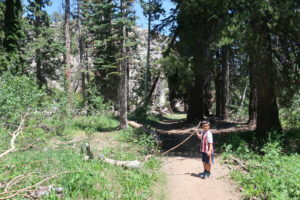 We hiked 2.5 miles from the Crabtree Trailhead to Camp Lake. The trail initial crosses a bridge across a frigid mountain stream and gradually ascends. We setup camp in the granite cliffs above Camp Lake which worked very well. 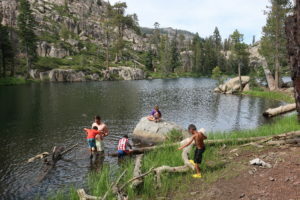 Camping is not allowed next to Camp Lake due to heavy usage and leave no trace principles. 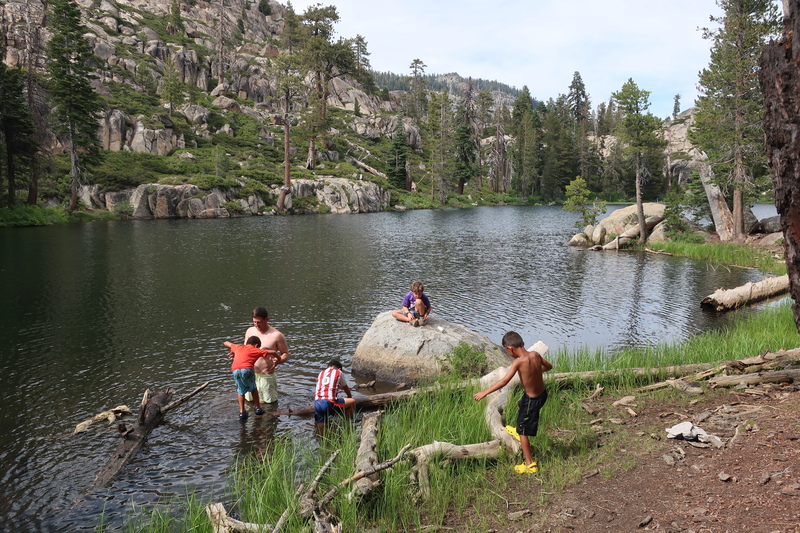 We swam in Camp Lake after setting up camp. The Technology Hiker author enjoying the granite golden hour view. The sunset was worth the price of admission. The granite, trees, and sky made the area feel like a zen garden. 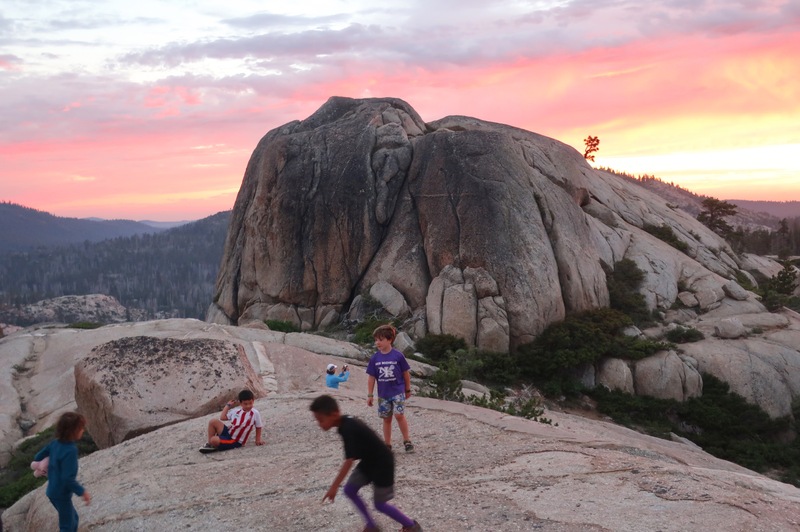 The granite amphitheater formed the best playground without the distractions of iphones or ipads. On Sunday, we took a spur trail to view a snowmelt cascade & waterfall. 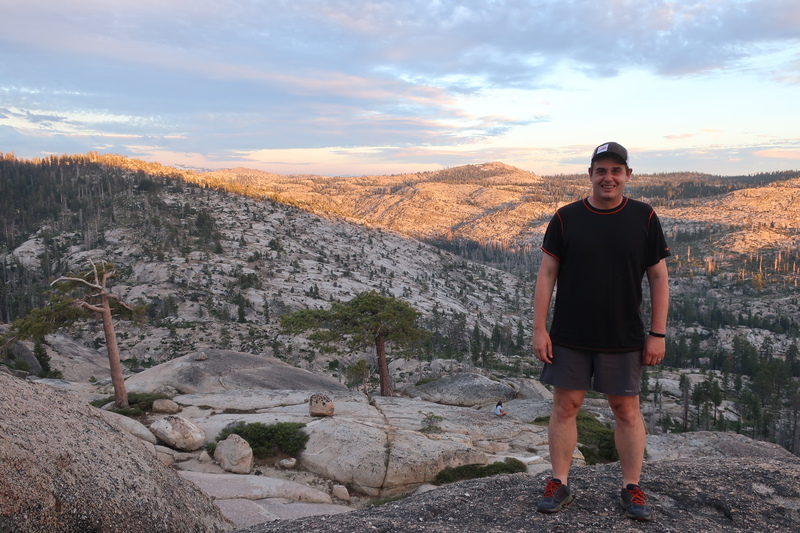 I look forward to returning the Emigrant Wilderness and Camp Lake area.